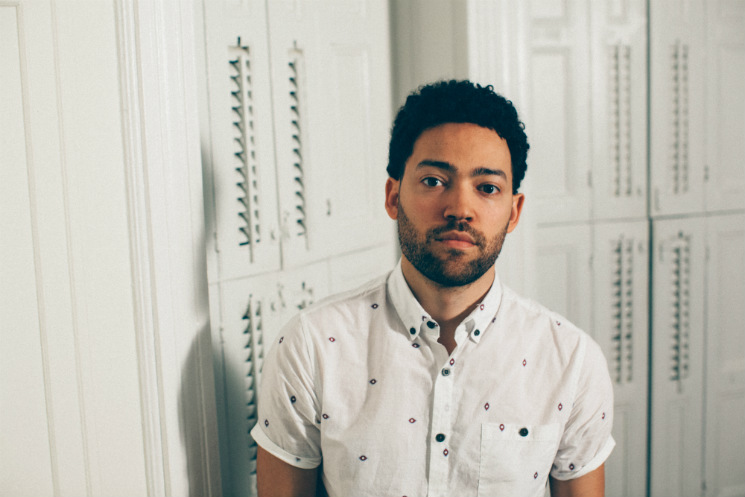 On the Monday night (July 4) of Montréal Jazz Fest, Taylor McFerrin worked a Sequential Prophet-6 synth and a sampler as he treated the crowd to new takes on old songs, backed by tight, talented percussionist Marcus Gilmore. Both are the offspring of jazz legends — McFerrin of vocalist Bobby McFerrin, Gilmore of drummer Roy Haynes — but the pair far transcended their roots on the night, giving a performance that sounded more like the future than the past. Taylor is more beatsmith than jazz artist, having carved out a niche for himself far away from his father's legacy on Flying Lotus's Brainfeeder label — and yet, McFerrin remains humble. After just a few songs, he noted that it was an honour to share the stage with Gilmore, and obliged to "Give the drummer some" as Gilmore worked clave blocks into a complex, skittering solo that showed his skill without overdoing it. Early Riser is a few years old now, and McFerrin has taken to improvising jams out of his recorded compositions, making them hard to identify but captivating to watch. On a lengthened "Decisions," he mixed 8-bit sounds and percussive, Clams Casino-esque droplets into his cosmic, hip-hop-influenced palette while Gilmore waxed jazzy, with snapping drums that breathed life into the set. McFerrin played a long, soft Rhodes keyboard intro to "Florasia" before taking the mic to sing. With deep sub bass at times and soft, twinkling R&B at others, all of the song's aspects felt heightened, new. "We're supposed to end right now, but I just finished a remix for Hiatus Kaiyote, so we're gonna jam on that for a bit," McFerrin told the crowd. With that, the pair immersed themselves in "Laputa," McFerrin manipulating the song's stems while Gilmore tapped along to the slinky composition, sounding incredible but looking so composed it was like he wasn't even trying. The set ended after just 45 minutes, making it enough to whet appetites but leaving the Astral crowd virtually starving for more.